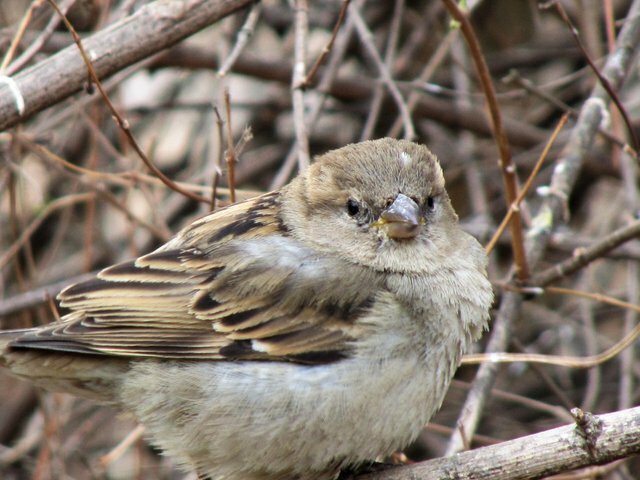 I noticed that the color of the sparrows is a good disguise in the off-season. Look at the photo. The birds are almost not noticeable on the background of bushes and trees. Against the background of the fallen leaves. 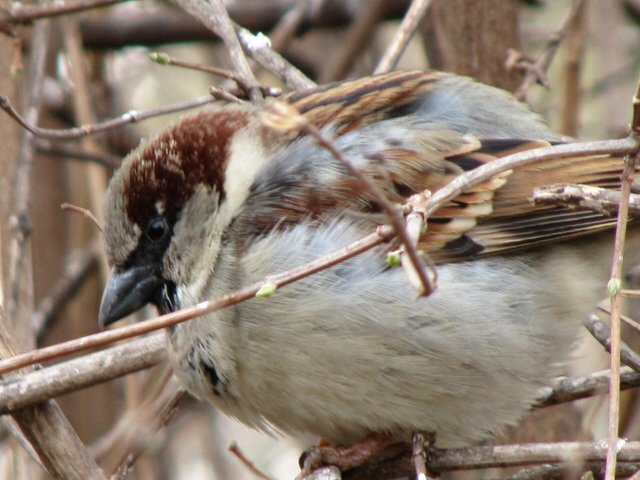 The color of the bark of a tree is similar to the color of a sparrow. Did you like my observations? They really are quite pretty birds. If you take the time to look at them! 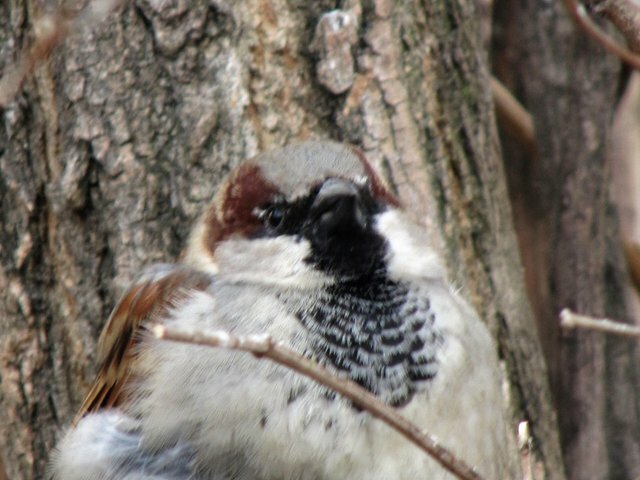 Yes, I like to watch the sparrows, they are very cute. 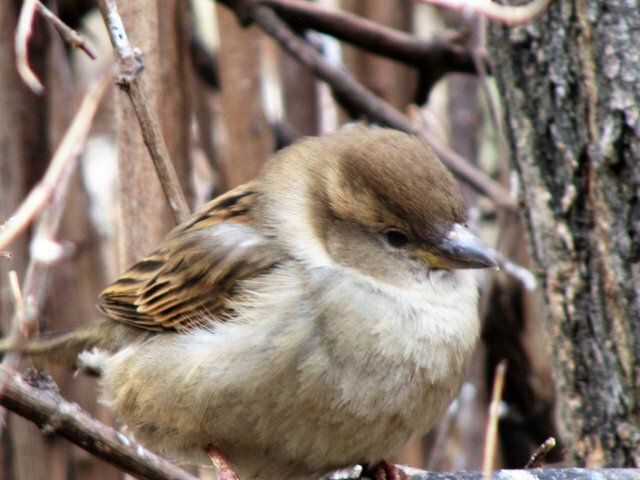 The sparrow is one of the birds that live in Norway all year round. 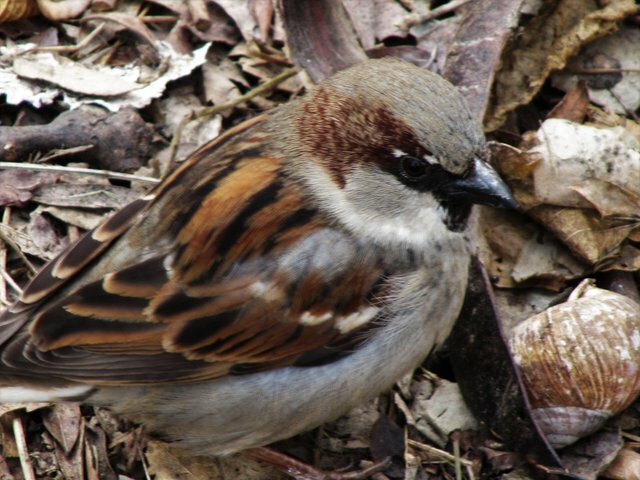 Some other birds are migratory birds, and they leave the country in the fall and return in the spring. 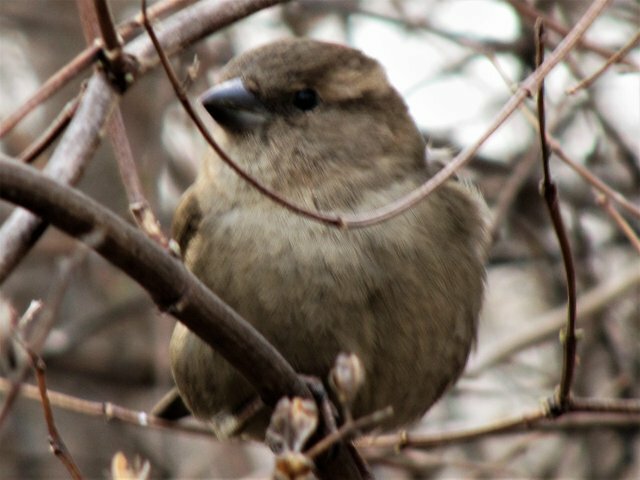 The earliest spring birds tend to come here in March. Others come in April and May. The last of the migrating birds usually wait until June before they come here. 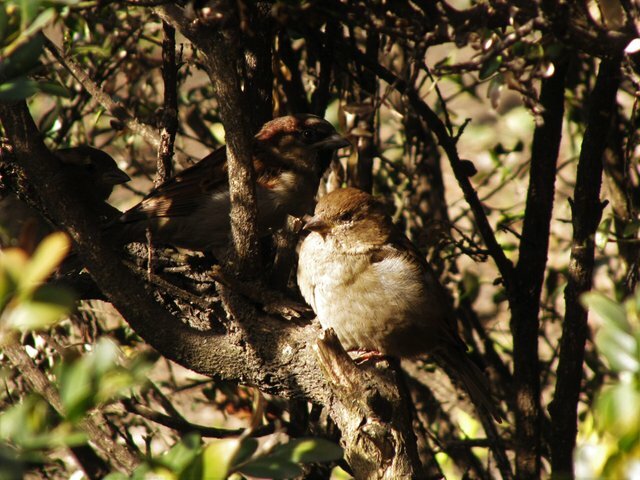 In my locality sparrows winter here. Они такие хорошенькие - просто загляденье! Howdy leylar! Yes I loved the observations, that bird is totally camouflaged from predators, well done! Yes, many birds are masters of camouflage. Strangely, some other dont seem to care at all, and they are snow white in summer. But I assume, it all has a purpose somehow. I also think so, that this disguise is not just like that.